I'll admit, at first I was cynical about it - "Isn't that just for girls obsessed with planning their imaginary weddings to men they haven't even met yet?" I thought, jaded internet-user that I am. But in the past year I've come around, and now it's my guilty pleasure. I use it to "pin" everything: books I want to read, clothes I wish I could buy, gift ideas for friends and family, and recipes I want to try (but you still won't find any fantasy wedding pins amongst my boards, don't worry!). I even created a whole Pinterest board just for veggie burger recipes that I'm dying to try at home one day when I have the time... (cue laughter). I love using Pinterest as a way to keep track of recipes I want to try (not just veggie burger recipes, too) - especially because I can view my Pinterest boards on my phone at the grocery store when I am buying ingredients, or at a friend's house when I want to try a new recipe but don't have my binder of printed recipes with me. You can follow all my boards here, or go straight to the veggie burger board here if you'd like (disclaimer: I have not tried any of these veggie burger recipes yet, so I cannot vouch for how well they turn out. But there are some exciting ideas in there - let me know if you try any of them!). And I admit, I love the social aspect of Pinterest - I've gotten some great ideas from seeing what my friends pin on their Pinterest pages. 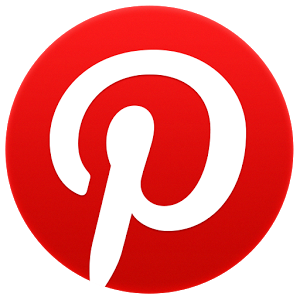 So let me know if you are using Pinterest too - I'd love to follow you on it! This post is NOT sponsored or requested by Pinterest at all, they don't even know about this blog - I am just addicted to fun internet things and want to follow more people so I can see more tasty vegan/vegetarian recipes pop up on my Pinterest feed. p.s. if you can't get enough social media in your life, YumVeggieBurger is on facebook and twitter as well!